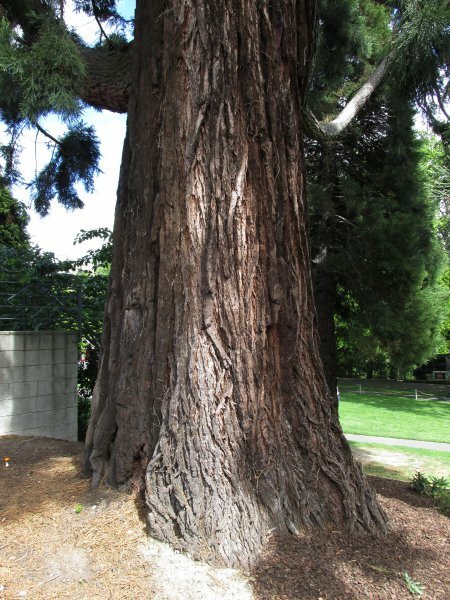 A good tree near the entrance of St Margaret's College at Otago University. 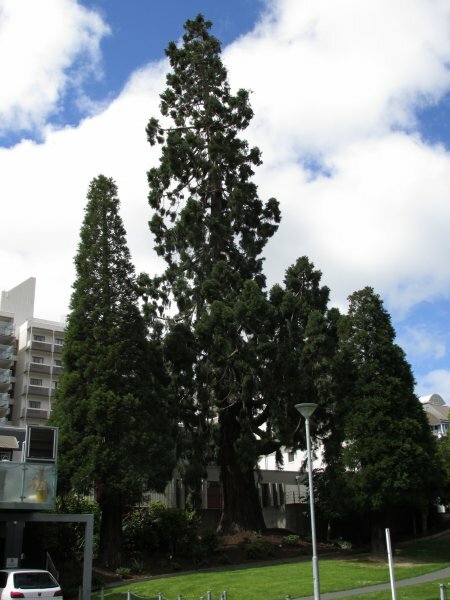 The tree is thought to have been planted about 1860 and was likely part of the original Dunedin Botanic Gardens, which were initially established where the University is now located. Two younger trees are becoming established nearby. Every Christmas the tree is lit up with lights (Cadwallader, 2013). Some lower limbs are just beginning to develop as leaders. 09 Sep 2014 Cadwallader, B.G.